Whilst pas de deux may seem to be the most dynamic and exhilarating part of a dance performance, it is also the most demanding, technically, physically and emotionally. Whether it is classical in a tutu and pointe shoes or contemporary in unitards, the art of pas de deux does not seem to be a strand of dance that is easily conquered. In terms of basic preparations, balances and trust are inseparable and must come as one. Considering lyrical and jazz techniques that are easily available to view on television media, it is understandable that a common misconception of pas de deux is that it about awe-inspiring lifting only. Drawing classical ballet into the mix, however, demonstrates that much of the work is based on core strength and the ability to be centered, either by yourself or your partner. The skill of finding a balance in a partner is very difficult, for example, over the female’s supporting leg in a pirouette or arabesque. The female must be responsible for securing her positions in order to create a strong partnership, physically and mentally. It may be concluded that partner work is more difficult for males than females, as they have to adapt their skills, and even adapt their approach to their dancing, to work as one with their partner and not become uncompromising or tricky to work with, support and lift. Within classical ballet, it may even be necessary for males to employ a parallel or turned-in position, which goes against the usual expectation of turn-out yet is required for stability. “Shin splints” is the term for the ache and pain around the tibia and fibula which are the bones at the front of your leg that run from your ankle to your knee. They can be treated and prevented, but here’s the low down on the truth behind this troublesome condition. Dancers are prone to shin splints because dance puts repeated stress on the lower leg. However, some dancers are more susceptible to shin splints than others which can be the result of many factors. Poor bone alignment, feet which roll in and joint laxity are all genetic factors in determining whether you may suffer from shin splints when you dance so it is easy to get caught up in the pain of the problem rather than working to solve it. Shin splints can cover a whole host of problems such as stress fractures (tiny breaks in the bone which occur when the muscles around the bone become too fatigued to absorb shock, such as the impact from landing from a jump), periostitis (an inflammation of the outer lining of the bones caused by repeated stress on the muscles attached to bones) and chronic exertional compartment syndrome (caused by the muscles around the bone swelling and the lining encasing those muscles getting too tight, cutting off the oxygen and blood supply, causing an ache after dancing). These conditions can be caused by similar factors (in addition to genetics), such as your dance environment (such as a floor that doesn’t provide shock absorption or is “raked”), your dance shoes (which may lack support for your arches), and the level of activity your dancing encompasses (such as the amount of jumping you do, or simply how much you dance). Despite the worry that shin splints cause, they can be treated, with recovery times varying through the intensity of the condition. Resting, icing and elevating your legs for a few days may be enough in some cases of shin splints, but more severe injuries may require therapy or even surgery. Most importantly, shin splints can be prevented! Shoes with support for your arches and sprung floors mean that the dancing you do and your body will be aided in its work, and you will have the best possible start. In the twenty-first century, the world surrounding dancers and non-dancers alike contains the ability to ‘fake it’. Gone are the days of “if you’ve got it, flaunt it”, because now it is becoming increasingly easy to modify and improve more and more about us, and the world too – you can flaunt it anyway! ‘Natural’ has become a woolly term, because how can it be proven? The likes of Photoshop and other similar tactics mean that we can appear as our ‘better selves’, and we can even do this physically by the means of plastic and cosmetic surgery. Enhancing appearances does not stop there: the illusion of dance has too been enhanced past its ethereal state and can now be improved or altered by means of faking it. For example, the mechanics of classical ballet can be aided by the use of commercially available prosthetic arches which can be used to improve the appearance of the foot in a pointe shoe. There are not many methods for modifying or ‘faking’ ballet, simply due to the fact that social historical context dictates that classical ballerinas wear costumes to reveal their strength, artistry and technical talent, and also due to the role of the critic. Despite this, the shape of the foot can be enhanced, having worked the correct muscles in the first place. Some dancers are fortunate, with a high instep and strong, flexible ankles, whereas for others this is something at the forefront of their wish list. Some may argue that enhancing the line of the foot in this way is on a parallel to that of wearing false eyelashes to improve the look of the face, and give that “showbiz” look. Today there are a number of ways of improving the ballet experience in general, as shown by the product list of Dance Direct, for example. From a variety of shapes and designs of foot thongs, to gel pads to the latest snug over-the-pointe-shoe socks with suede leather toe caps, there is something for everyone to help fake it until you make it! The Zumba craze has well and truly taken hold of the fitness and dance world, shaking up a storm and providing fun and fabulous calorie-burning workouts as a mix of dance and aerobic routines. Zumba is a dance fitness program created by Colombian dancer and choreographer Alberto “Beto” Perez during the 1990s. This music is the key ingredient to Zumba classes, where the score, created with specific beats and tempo changes, transforms the workout from one toning, strengthening or cardio move to another, targeting every major muscle group in the body. With the energy of the Latin beat, and the structured workout Zumba classes give you the ultimate non-workout exercise regime. The next step on the Zumba ladder is working out what is best to wear for a class. Zumba is a high performance activity and it demands high performance clothing, and the dancewear industry has done a huge amount of researching and developing fabrics that stretch and breathe. Suitable for both men and women partakers in Zumba are jazz pants or leggings and close fitting dance tops which accentuate movement and allow teachers to see the dancers’ movements clearly, available in a huge array of colours and styles. Capezio dance tops in particular provide a clean cut look, and their jazz pants are also available in a drawstring design. Bloch dance trainers and sneakers are also great options for Zumba classes, light, breathable, and designed for high impact dance. The trainers come in a great range of colours, and leather and canvas designs with features that make them ideal for the activity. They provide excellent grip, a ‘spin-spot’, split soles, are shock absorbing and lightweight, with many designs suitable for the whole class. Get your own and join the party! 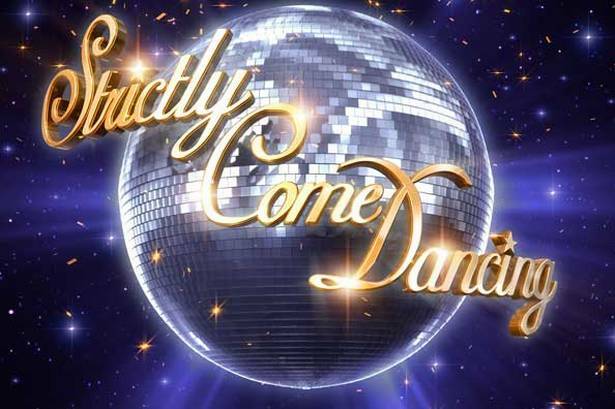 In the BBC’s Strictly Come Dancing series 6 in 2008, Camilla Dallerup and partner Tom Chambers were crowned the winners, with Dallerup going on to reveal some Strictly secrets. The shoes worn by the contestants, including those who have just begun their 2012 stint on the show have been developed over many years by top shoe manufacturers with the input of world class dancers, designed to give them support in the right places and so they can be balanced correctly. The shoes are one of the core elements of making any dance successful – a tap dance performed in pointe shoes, let alone a tutu, would not have quite the same meaning or effect! Latin dancers, as a result, wear specific shoes which enhance their movements and become an extension of their foot. It is interesting to note that ballroom dancers wear a lower height heel than latin dancers, as latin dancers need their weight further forward onto the balls of their feet… this is just the females alone, with around 3.5 inch heels. The men’s shoes also have Cuban heels which are higher than those worn for ballroom to ensure that their weight is forward toward the front of their foot too. However, ballroom dancing does not require this due to the specific hold the dancers must maintain and the closeness with their partner, with just 2.5 inch heels. The soles of the shoes worn are made of suede so they have long lives: dancers can also be seen brushing them with a special steel brush to make them non-slippery, or alternatively leave them to their own devices to get shiny and much more slippery. It was revealed, however, that many latin dancers also put castor oil on the soles of their shoes to achieve the ideal non-slip shoes. For dancers, being fit to dance is natural, inevitable, and above all stating the obvious. Hours taking class, rehearsing and performing are all perfect ways to hone your dancing body and become the greatest athlete you can. In terms of dance, that is: many dancers are only fit to dance rather than being fit in a number of different disciplines. Forget pointe shoes, leotards and ballet barres, dancers also need to cross-train in order to excel. Being physically fit means that injury is less likely, but if it does occur, it also means you have various other methods to aid the healing process. A famous study at Lenox Hill Hospital in New York (1975) compared forms of sport in a study, including dance, in terms of the athletes’ fitness capabilities. Ballet was ranked as one of the top disciplines, requiring high levels of strength, endurance, flexibility and cardiovascular ability. However, in order to maintain this wellbeing and fitness as a dancer, other forms of exercise must be carried out in order to complement your dance life. For example, swimming is a fantastic form of cardiovascular exercise that will set dancers on their way to becoming fitter in a more general sense, enabling their bodies to withstand more than the (sometimes gruelling) demands of dance. In fact, any other cardiovascular activity has great results affecting dancers’ longevity for strength and power, co-ordination, flexibility and aerobic endurance (as dance is a predominantly anaerobic activity in which the dancer performs short bursts of high-energy activity rather than aerobic where the energy demands are more even)… you will not find ballet tights or Therabands in the pool or on the running track! 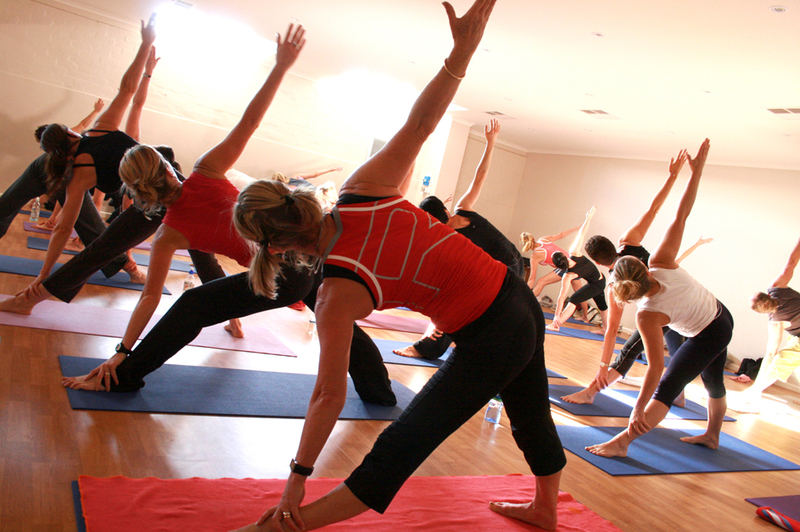 Other complementary activities include Pilates, the Franklin Method, Alexander technique and the Feldenkrais Method, enabling the body to adapt, as well as improving the alignment of the skeleton, for example. As soon as dancers stop working or conditioning their bodies, they start to ‘de-condition’’ and reverse, which can happens quickly, so it is important to keep using your physical capabilities outside the studio. Image courtesy of the Wikimedia Commons. The Dancers’ Career Development, founded in 1974, is a scheme which has been supporting professional dance for 38 years, helping them to make the transition from professional dancing to a new career by giving them the skills to continue working beyond dance as they hang up their ballet shoes. Initially The Dancers’ Resettlement Fund, it aimed to provide support to the dancers from the five Arts Council funded dance companies. The organisation expanded its work in the 1980s to offer career support to all professional dancers in the UK. Today, the Company Fund provides for dancers who have completed a minimum of five years as a professional dancer with one or more of its nine contributing companies: Birmingham Royal Ballet, English National Ballet, Northern Ballet Theatre, Phoenix Dance Theatre, Rambert Dance Company, Richard Alston Dance Company, Scottish Ballet, Siobhan Davies Dance Company and The Royal Ballet. The Independent Trust, however, supports all professional dancers who have performed for a minimum of five years in the UK. Both the Fund and the Trust operate under the DCD. The DCD offers a range of specialist practical, psychological and financial retraining and career support services, tailored to each individua’s needs, allowing dancers to select the support needed for a successful transition and fulfilling career path. In addition to this support system, the DCD runs a comprehensive outreach and workshop programme in dance schools, companies and commercial productions in order to encourage dancers to expect transition periods within and from their performing careers, be they full of leotards, character shoes, tap shoes or tiaras. With the economic climate dictating funding and job frequency, this is becoming increasingly important, not only to help dancers to retrain in hundreds of different careers post-performing but to maintain an arts-focused arts industry. A 2011 survey showed that 89% of retrained dancers are still working in the profession they retrained in. The new Dance UK Dancers’ Mentoring programme, funded by Dance UK and in partnership with the DCD is open to mid career dancers who have been identified by their peers as future leaders. Of the 16 dancers who took part when the programme was run five years ago, eight have gone onto leadership positions in companies such as Phoenix Dance Theatre, The Royal Ballet, Northern School of Contemporary Dance, Candoco Dance Company, Scottish Dance Theatre and Rambert Dance Company. This specifically indicates that not only is the dance sector full of fantastic performing talent, but also the talent to adjust and contribute in an equally as rewarding capacity. Image courtesy of the DCD. The opinions expressed in the above article or review are mine alone and do not reflect the opinions of my employer. With many young, hopeful dance students about to start auditioning for vocational performing arts colleges again, the question on most lips is, “how am I going to pay for this?”. Loan companies that students can apply to when they have secured a place at university are unlikely to offer loans to students attending vocational colleges unless the college offers a degree programme. Some unlucky, yet extremely talented students must turn down places at prestigious training institutions simply because they do not have the adequate funds to survive the course, sometimes because they do not get funding, such as through a Dance And Drama Award (DaDa), and are unable to afford the fees without it. However, there are many methods of independent fundraising in order to get your legwarmers, jazz shoes and best leotards off to performing arts college. Fundraising can be extremely difficult, but hard work and determination prevails. If going to performing arts college means taking on three jobs throughout the summer and continuing to work throughout your studies then so be it – your passion and dreams to achieve success will carry you through. Northern Ballet recently ran a successful Sponsor a Dancer campaign following the cuts to funding, and was the subject of a documentary called Arts Troubleshooter on BBC Two when CEO Mark Skipper acknowledged that fundraising can sometimes feel like begging in ballet shoes – other approaches are sometimes required. At The Royal Ballet School, they have a stated policy of never turning away a talented student because of finance. 96% of students there receive some form of financial assistance, enabling their tutus to twirl. A few ideas of how to raise funds include contacting your local council, as some usually set aside money to be used for performing arts; trying to attract local press to your challenge to secure coverage and the hope of any sponsors; organising fundraising events such as performance and quiz nights with raffles; and working as hard as you can to raise as much for the funds as possible. Sometimes your determination to succeed is recognised by the particular institution you will be attending, and some offer scholarships to reward this hard work, sometimes for a term, a year, or even the rest of your time there. It is that time of year again, when applications to vocational dance and drama schools are starting to be filled in, tap shoes are dusted off and legwarmers are at the ready. Audition songs, monologues and solos must be prepared, forming the beginnings of nerve-wracking experiences for young, hopeful performers. Dance auditions can be particularly intimidating, even for the most talented of dancers capable of performing triple pirouettes in their pointe shoes. Many argue that the anxiety that comes hand in hand with auditions can be very beneficial to the auditionee, increasing the adrenaline pumping round the body and firing the dancer’s performance into a new realm. It is extremely important to prepare what you will be presenting to the audition panel down to the last detail in order to perform as well as you can. Make sure that you have fuelled your body with food that will sustain you throughout the day, in addition to making sure you stay hydrated. Depending on the type of dance audition, it is often a good idea to wear a striking outfit, such as a bright coloured leotard in order to stand out from the other candidates at the audition. You need to demonstrate to the panel why they should select you as one of their students, and the extra special quality you have that other candidates don’t have. Arriving early to the audition is another way in which to prepare properly, and will help to settle pre-audition nerves, as well as giving you enough time to warm up mentally and physically before the day begins, going over any last minute details. Some argue that this may add to your nerves, but being late to the audition may make them even worse! Enjoying yourself is a key part of the audition, so whether your dance, speech or song is passionate, sorrowful or energetic, make sure you express yourself to the best of your ability. To enhance your lines, for a stronger body and an improved performance we have a range of essential dance accessories for the dancer eager to excel. However, it is vitally important to warm up properly to look after your body correctly, as it is the instrument with which to fulfil your dance desires… and if it is not cared for, it can be easily damaged. Kitting yourself out in the latest dancewear, such as redesigned foot thongs and innovative leotards will not protect your body from the rigours of dance. 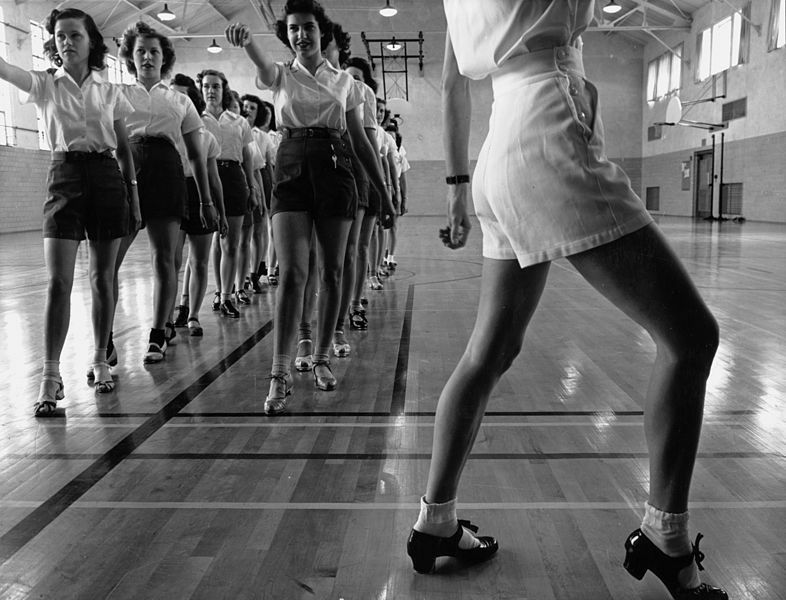 Dancers wearing the newest jazz trainers and cover-ups must work hard to prolong their dance training and career using the right techniques and methods for their own body. For example, the Original Deuserband is a classic, physio-therapeutical training band which is incredibly strong, working to flex muscles and increase fitness, strength and flexibility. Specifically for increased leg flexibility, the Deuserband is used worldwide by professional dancers as an aid to their training. Latex resistance bands, such as those designed by Bunheads, are also used by dancers of all levels to target specific areas of the body that require strengthening. 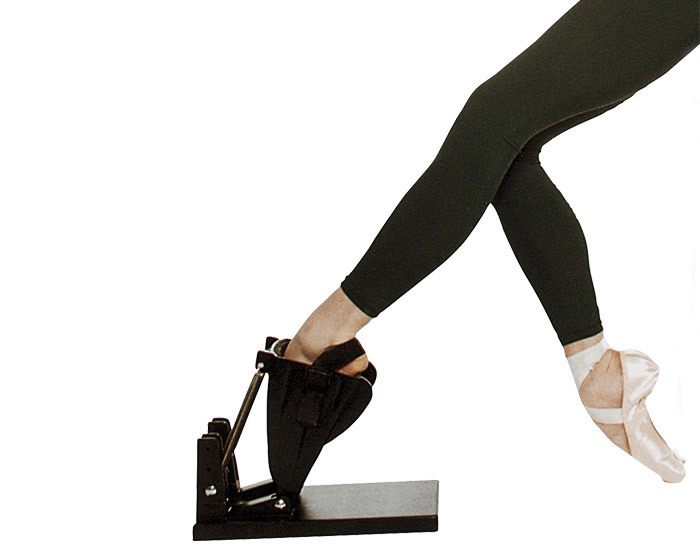 They are particularly useful for young dancers who are preparing for pointe work, and for exercise aiding injury recovery, displaying their ultimate versatility and usefulness. An additional product which aids strength, and is also extremely useful for dancers preparing to wear pointe shoes is the Wobbleboard. It is also recommended by physiotherapists, working to strengthen the ankles to prevent injury. Another versatile product is the Theraball, which targets all the major muscle groups for a full body workout, whilst aiding stretching and strengthening. Exercise balls of all sizes are renowned for their revolutionary design and purpose, often used for strengthening the core and upper body. In this essence, the Theraball is vital to maintain and dancing body’s dynamics and prolong dance lives. Image courtesy of adria.richards at Flickr.